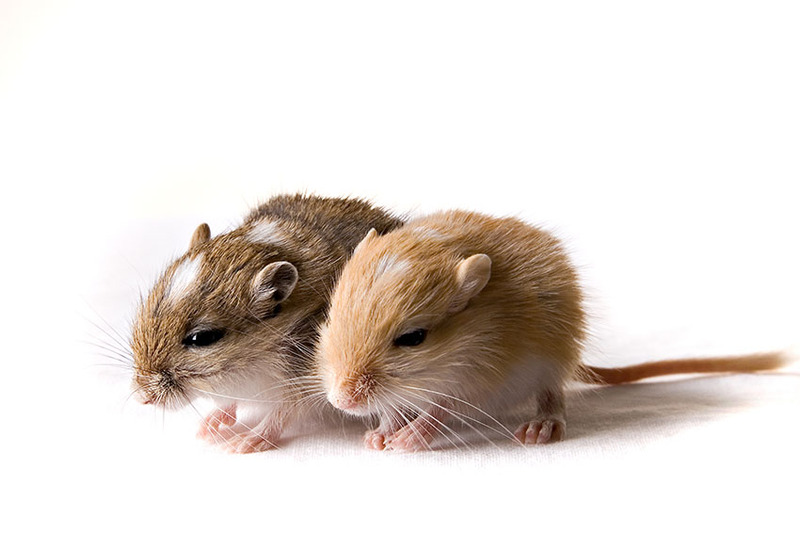 Like the young of many mammals, baby gerbils are called pups. In captivity, gerbils can be born in litters as large as thirteen or fourteen babies, although the usually size is under seven or eight. The mother (and father if he is allowed to remain in the cage - be careful, as this could lead to more litters) will care for these babies until they are of an age at which they are ready to leave the nest. They’ll survive on their mother’s milk until they’re weaned, at which point young females in particular will be ushered out early, in case they try to take over the nest. As you can see, gerbil babies are absolutely tiny creatures, which is unsurprising considering the diminutive size of their parents. Although these little animals are very cute, we advise against breeding these animals yourself. This is partly because there can be a great many complications and the process can be quite distressing for all concerned, but also there are hundreds and hundreds of gerbils in shelters who are in serious need of homes. Instead of introducing more gerbils to the limited number of homes available, you might want to help some animals in need.